Acting Sindh Governor Agha Siraj Khan Durrani has summoned the opening session of the new house of the Sindh Assembly on Monday, August 13 at 10am when the MPAs elected from Sindh in last month’s general elections will take oath as legislators. The directives were issued on Friday from the governor’s office. However, it is not yet clear who will administer the oath in the Sindh Assembly as Speaker Agha Siraj Durrani has been performing the additional duties of acting governor after former governor Mohammad Zubair resigned in July. According to insiders, the acting governor has to nominate a suitable officer who will administer the oath to the newly-elected MPAs. 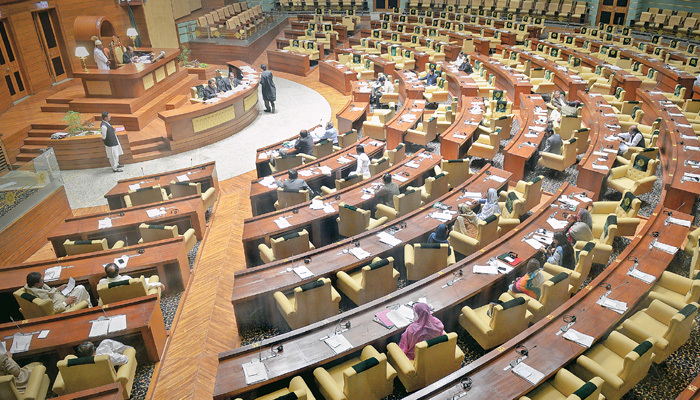 The tentative schedule prepared by the Sindh Assembly secretariat states that after the oath-taking of MPAs, the nomination papers for the positions of speaker and deputy speaker will be submitted the same day, while the election for the offices of speaker and deputy speaker will be held on August 15. Moreover, nomination forms will be submitted on August 15 for the election of the new leader of the house (Sindh chief minister), and the election will be held on August 16. The newly-elected chief minister will also take oath of his office at the Governor House on the evening of August 16. The Pakistan Peoples Party, the majority political party in the house, has already announced that former CM Syed Murad Ali Shah will again be their party’s candidate for the CM slot in the upcoming term of the provincial assembly. However, the party is yet to nominate any of its elected MPAs for the top slots of speaker and deputy speaker. The Pakistan Tehreek-e-Insaf, which secured a majority of seats from Karachi in the July 25th polls, is likely to get the all-important office of the Leader of the Opposition in Sindh Assembly. However, it is yet to announce its nominee for the slot. Interestingly, the Muttahida Qaumi Movement-Pakistan, which has formed an alliance with the PTI in the Centre, has expressed reservations over a possible PTI nominee as opposition leader in Sindh. According to a Geo News report, MQM-P leader Khwaja Izharul Hassan, who has previously held the same post, tweeted his disapproval towards the candidate the PTI is expected to nominate on Thursday. The MQM-P “would have reservations should Firdous [Shamim] Naqvi’s name be put forward for the opposition leader post” in the Sindh Assembly, Hassan added. On Sunday, Naqvi, a leader of the PTI, had said the deal with the MQM-P was based on “certain necessities”. Taking into account that the two parties had signed a deal of reconciliation just a few days back, this spat indicated that the partnership was already starting to show signs of weakening. PTI leader Naeemul Haque later, however, added subsequently that Naqvi’s remarks did not reflect their policy but were, in fact, his own opinion, and did not benefit the Imran Khan-led party in any way. “The alliance with MQM is a strategy, not a necessity,” Haque added. However, at the instruction of Imran Khan, the Prime Minister-in-waiting, Naqvi had to set aside the differences and rescind his statement on how the cooperation with the MQM-P was a bitter pill.